Here Are 3 Actionable Items to Improve Your SEO Results in 2018 | Sharp Innovations Blog | Sharp Innovations, Inc. If you’re planning your marketing strategy for the New Year and haven’t thought about your digital presence, now is the time! 2017 saw a number of important changes as search engines such as Google and Bing have continued to evolve in an attempt to deliver the best results for web users. By keeping up with and adapting to these changes, you can help ensure that your website is making the biggest impact and delivering the best returns from search engines for your business. Fully Optimize Your Local Listings – For any business who sells their products or services at their location, at a minimum you should have a verified Google Maps and Bing Places business listing set up and maintained by you or on your behalf. This will let your local customers know where you are and when you’re open. And there are proven ways to get even more out of these listings, especially as “near me” searches are as prevalent as ever. An interesting shift, however, is the exclusion of “near me” in the search query, but the expectation that local results are still delivered. Adding photos for all categories (interior, exterior, product, team, identity, and, if you really want to stand out, consider having a 360 Google Tour done). Other recommendations that have been shown to yield good results include asking your customers to leave reviews to help build your review count far beyond what competitors may have, having a high “star” rating from happy customer reviews, and utilizing Google’s new “Posts” feature. Consider Expanding Your Current Meta Descriptions – This one may require some data analysis or testing, but the good news is that both are easy! Google recently started displaying longer meta descriptions in their search results to provide more descriptive snippits, and has recommended updating your meta descriptions if you want to help control the messaging that’s provided in the search. This change is quite significant, moving from about 155 characters to about 320 characters, so depending on your site’s size, this may take some time to work through. Before you jump in and change all those descriptions, you’ll want to consider your other search traffic referral sources as well. Sites such as Bing, Yahoo, and DuckDuckGo may be sending you significant traffic as well, and haven’t made this change. Updating your meta descriptions, therefore, might lead to drops in these other search engines. Think Mobile-First – Making a back-to-back appearance on our list of actionable items for the New Year is “Placing an emphasis on mobile-first.” Google’s Mobile-First index has already begun to roll out, so your website should already have been putting the primary focus on ensuring that mobile visitors have an experience with your website that’s as good as or even better than the experience that their desktop counterparts have. Any future changes to your website should be succeeded by the question of “How will this change affect our mobile users?” Just like any website change, if it doesn’t improve or enhance their experience, you will want to reexamine your approach. Keep in mind that page speed is crucial to a great mobile experience. Some common questions and a few official Google recommendations about the mobile-first index are listed here on Search Engine Roundtable if you’d like to learn more. 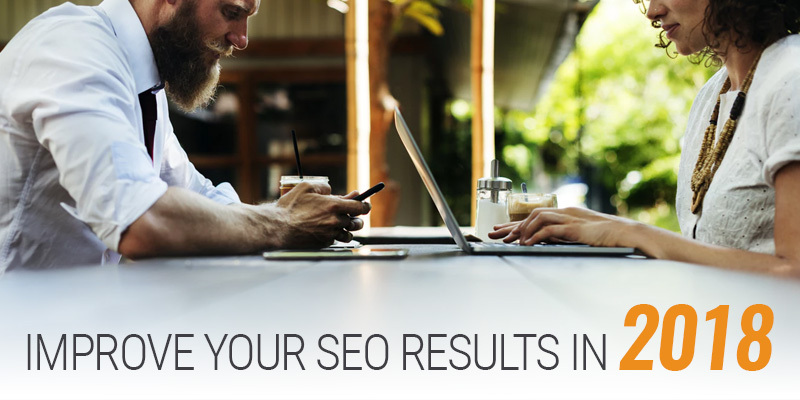 We understand that all of this information may be confusing if you’re not an SEO professional. So if you’re unsure how to go about taking action on any of these items, give us a call today at 717-290-6760. Our search engine optimization team will be glad to put these updates in place and discuss other ways to improve your search results and digital marketing efforts in 2018. Posted in SEO, Websites and tagged bing, Google, meta descriptions, mobile-first index, near me, SEO on December 21, 2017 by Rodney Hoover .